PASADENA, CA; JANUARY 18, 2016 – Today at the Television Critics Association Press Tour, PBS announced new programs and initiatives launching in 2016. A brief synopsis of each program is listed below, along with links to the full press releases. PBS Election 2016 is a comprehensive schedule of news, public affairs, documentary and corresponding digital programming. At the center of this multi-platform initiative is a new strategic partnership with NPR that allows for sharing of news content between the two organizations. As one of the country’s most trusted news sources and a leader in developing content for digital platforms, PBS brings to this year’s election coverage a mix of investigative reports, educational opportunities and stories of interest on the local and national levels. 16 FOR ’16 (w.t. ), a multi-part documentary that spotlights unforgettable presidential and vice presidential candidates whose dramatic campaigns may or may not have been successful, but earned a place in the history books nonetheless. Produced by OZY Media, a digital magazine that focuses on well-curated news, arts and culture stories, 16 FOR ’16 (w.t.) will be presented in 16 30-minute weekly episodes leading up to the U.S. presidential election this November. PBS has commissioned the two-part series A YEAR IN SPACE, adapted from TIME’s original digital video series about astronaut Scott Kelly, whose current 12-month stay on the International Space Station (ISS) is testing human limits for space travel and laying the groundwork for a manned mission to Mars. The first installment of A YEAR IN SPACE, which tracks Scott Kelly’s mission from training and launch, through his 12 months aboard the International Space Station, right up through his descent and landing is scheduled to air on PBS on Wednesday, March 2 from 8:00-9:00 p.m. ET (check local listings), timed within a day of Scott’s planned return to Earth. The second installment is scheduled to air in 2017. PBS will air HAMILTON’S AMERICA, a feature film documentary providing intimate access to Lin-Manuel Miranda and his colleagues during the two years leading up to the Broadway opening of the musical Hamilton. A contemporary perspective of Lin-Manuel Miranda’s revolutionary musical based on the life of United States Founding Father Alexander Hamilton, HAMILTON’S AMERICA will come to GREAT PERFORMANCES in the fall 2016, and will be a highlight of PBS’s Arts programming. PBS, with National Geographic as its international broadcast partner, has commissioned a new six-part science series. GENIUS BY STEPHEN HAWKING, from production company Bigger Bang, will be presented and narrated by renowned theoretical physicist Prof. Stephen Hawking. In each episode, a different group of ordinary people will be challenged to think like the greatest scientific minds in history in order to solve some of humanity’s most enduring questions. GENIUS will air on PBS in the U.S. in 2016, and internationally on National Geographic Channel. 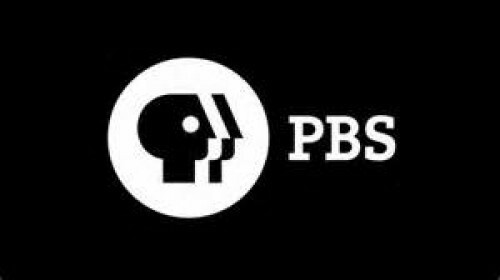 PBS is highlighting the African-American experience through content on air on PBS member stations, online through the PBS Black Culture Connection and through a series of community conversations that will engage viewers in an exploration of African-American history and culture. In addition to documentaries airing in February featuring those who helped influence integration and inclusion, throughout 2016 PBS will also feature programs about moments in history that helped shape race relations today.